Navy Chief Petty Officer Jason R. Freiwald, “Richard”, as he was called by friends and family, was born in Utica, Michigan. 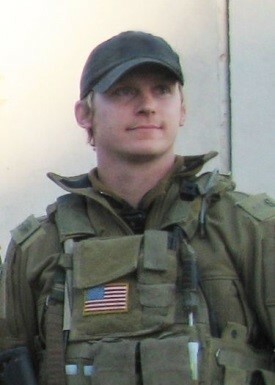 CPO Freiwald was originally assigned with SEAL Team 5 but then transferred to SEAL Team 3. During this time, he gained more schooling for combat, including sniper school, tactical rock climbing and Arabic. CPO Freidwald was deployed multiple times in support of Operation Iraqi Freedom with SEAL Team 3. He transferred to Naval Special Warfare Tactical Development and Evaluation Squadron 2 in March of 2005. On September 11, 2008, CPO Freiwald sustained injuries during a battle with heavily armed militants and died from his wounds on September 12, 2008. After graduating from Armada Senior High School, Jason enlisted in the Navy in 1996. After completing basic training and Navy and Marine Corps Intelligence Training, CPO Friewald went to Basic Underwater Demolition/SEAL training in Coronado, California. Following that, he was sent to Airborne School in Ft. Benning, Georgia. A highly decorated SEAL and combat veteran, CPO Freiwald’s awards include: Bronze Star medal with combat “V” distinguishing device, Joint Service Commendation Medal with combat “V” distinguishing device, Purple Heart and a posthumous Silver Star. He leaves behind his wife and daughter, both of which were Folds of Honor scholarship recipients.